for transformational play time in nature! 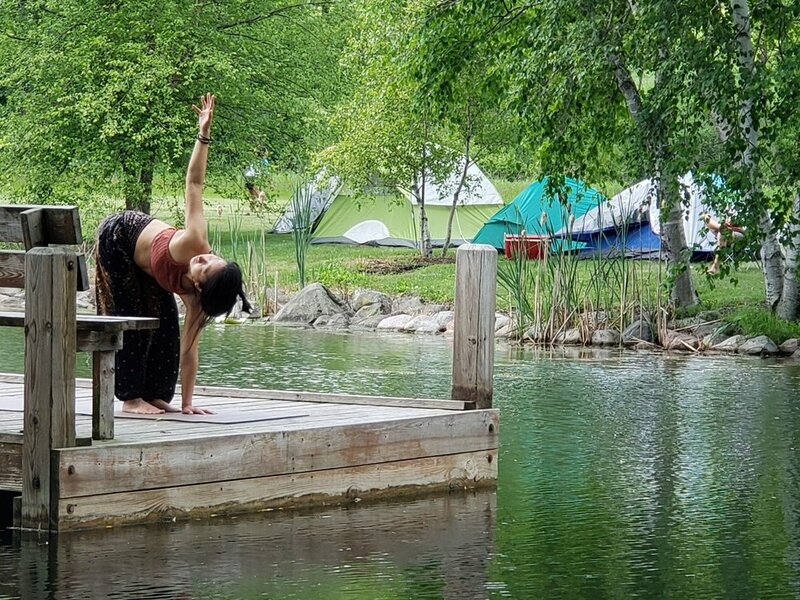 Gather with the Sat Nam Yoga Community in a lush nature oasis in Elk Horn, Wisconsin. In the heart of Alpine Valley we lay our claim to the land and reclaim the spirit of peace, wisdom and harmony that it offers to our being. do the hokey pokey and turn yourself around! Our 3 Day Adventure will be here before you know it! August 16, 17 & 18. Tickets & More Details coming soon! Kundalini Yoga + Playshops + Sound Journeys + Early Morning Sadhana + Hiking + Swimming + Canoeing & More! Enjoy wide open spaces to get into your own, write, and be still with the sounds of the wild. The land we are blessed to share will embrace you as you are and provide you with what you need. Respite, renewal, real chill people and plenty of yogi tea to go around. You can count on pop up healing sessions like Thai Massage or something similarly magical with a Resident Healer who’s around. The whole pace and place is ease & grace! Classes with Karampal, Gian Arjan, Dyal Gobinde, Sangat Gian, Julie Brannen, Lisa Devi & many other talented teachers!